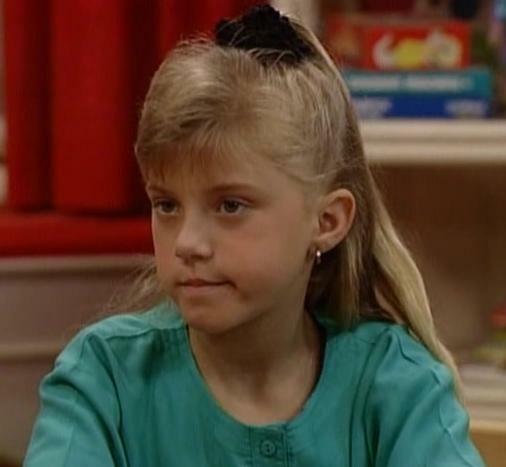 Oh, Stephanie Tanner and your 90s version of “Marsha, Marsha, Marsha!” TV-middle-children say the darndest things! In all reality though, I think this was my favorite insult for at least a year when I was younger. Well, it was a tie between this and “Up your nose with a rubber hose”, a classic from Mr. Vinnie Barbarino (John Travolta!) 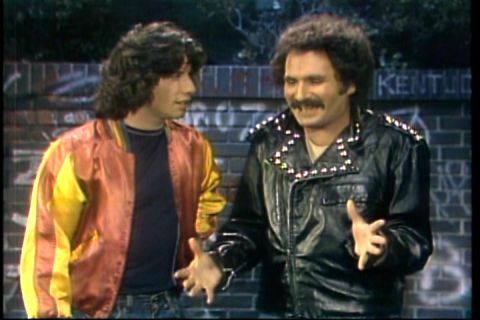 in Welcome Back Kotter. Apparently I had a thing for rhyming and noses in my insults-of-choice. I primarily watched Disney related fare as a kid, but I loved Nick at Nite. Nick at Nite (on Nickelodeon) used to be how kids watched all the classics from the beginning of TV-dome. In its beginning it’s how I watched I Love Lucy and I Dream of Jeannie, then worked my way though other classics like Bewitched, The Facts of Life, The Partridge Family, The Brady Bunch, Happy Days and Welcome Back Kotter. Now? Nick at Nite is Full House and the Fresh Prince of Bel Air. It makes me feel really old at the still young age of 23.
i was just thinking of all those shows the other day! perfect strangers, family matters, full house, all part of the tgif special!